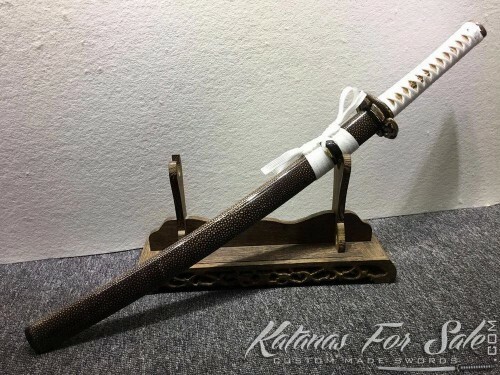 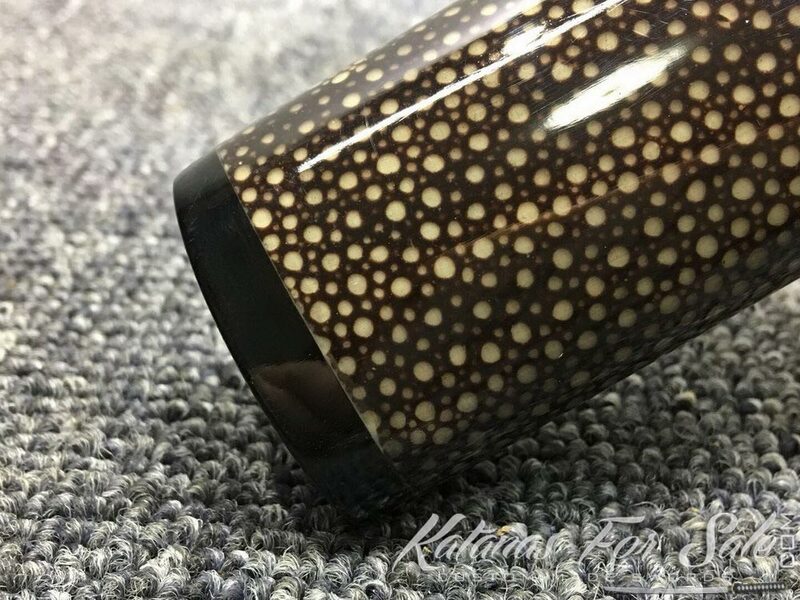 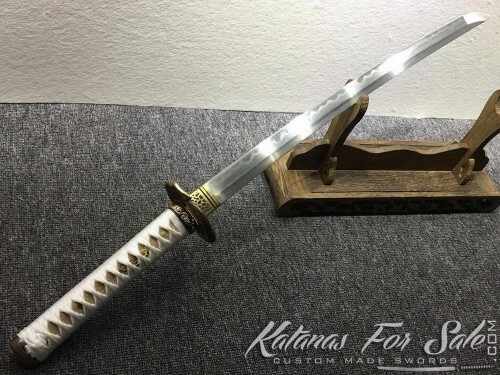 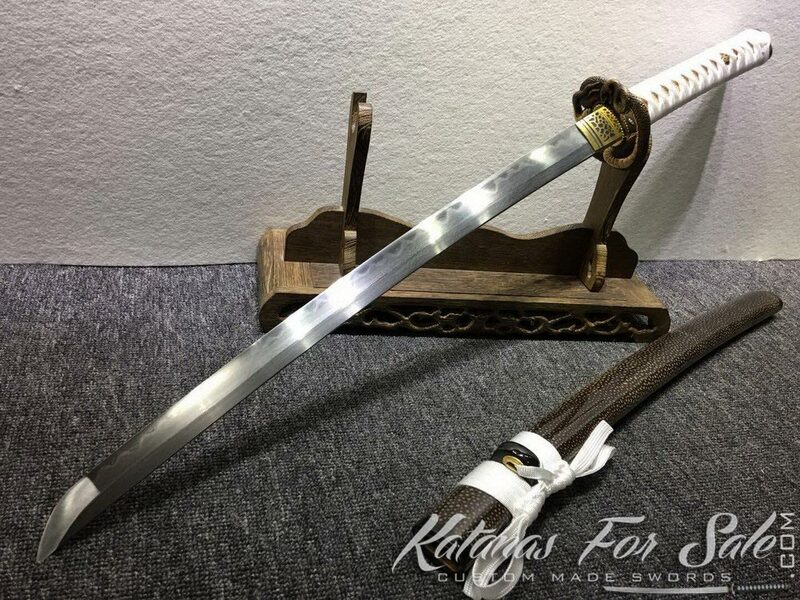 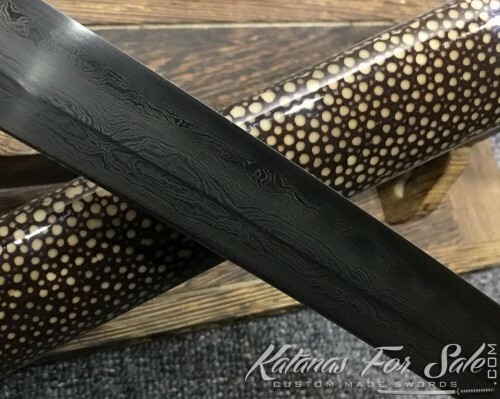 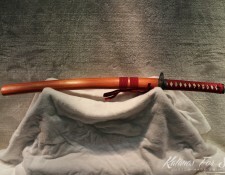 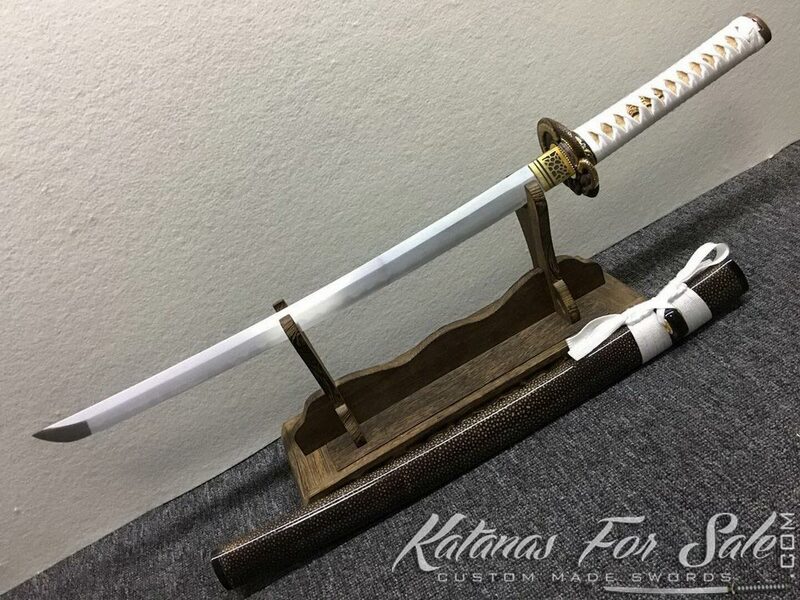 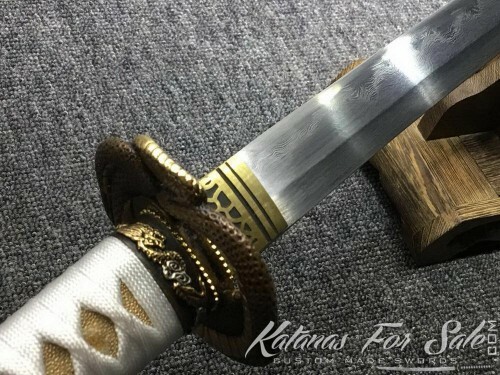 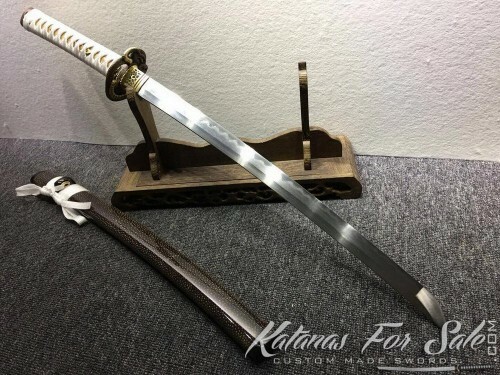 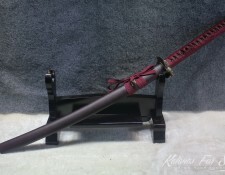 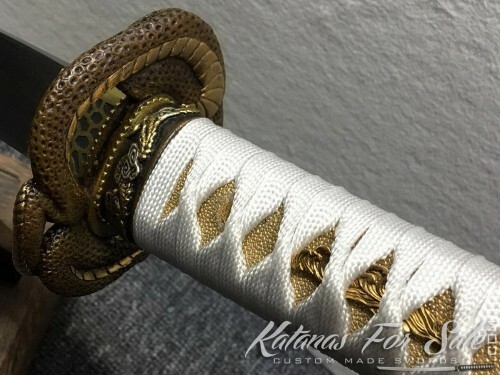 This is a fully functional Wakizashi sword made of T10 folded clay tempered steel, it features quality copper fittings, white rayon silk wrap with gold samegawa and full rayskin saya with buffalo horn ends. 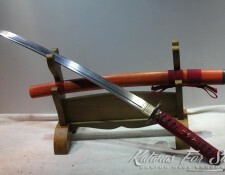 Categories: Clay Tempered Steel, Folded Steel, T10 Tool Steel, Wakizashi For Sale. 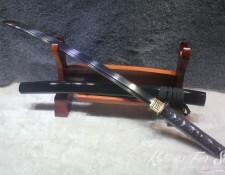 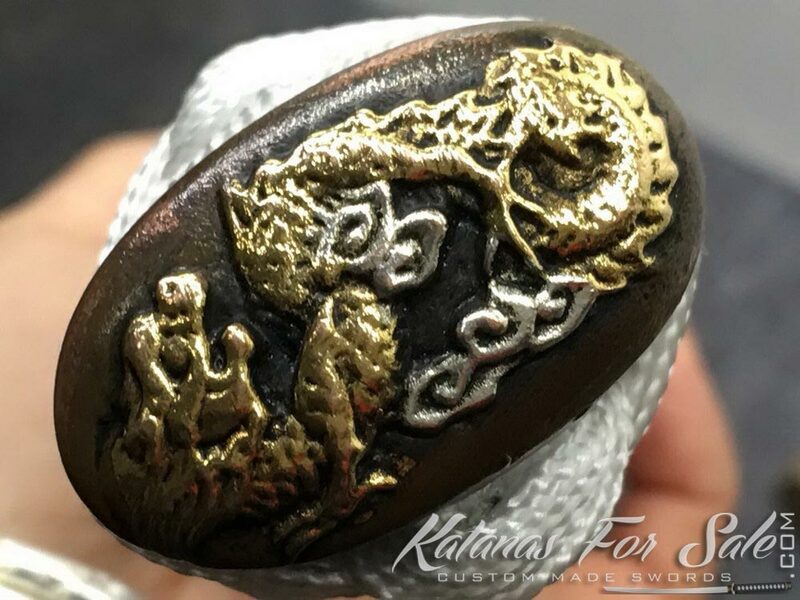 Tags: japanese wakizashi, wakizashi, wakizashi blade, wakizashi for sale, wakizashi sword.